Anodized Aluminum Tweeter Domes with Rubber Surrounds are absolutely immune to the elements. Newly designed tweeter phase cap smoothes the frequency response from 12KHz up to 20kHz, the last audible octave. Broad Coverage Baffle Design adapted and applied from our current Atrium design. Speed-Lock Mounting System for easy, safe one-handed installations even in difficult locations. The greatly simplified mounting procedure means fewer parts to juggle. First introduced in 2002, the outdoor Atrium Series set a new standard not only for build quality, but sonic performance, too. But we couldn’t leave well enough alone. Not only does our new, refined Atrium Series offer better sonic performance and easier install/mounting options, the series also exceeds the standard military specification weather tests, setting a new standard for rugged outdoor durability under our own more rigorous weatherproofing certification program. The results are a pure joy to listen to. So that wherever you put your Atrium speakers—by a pool, on a deck or in a sunroom, you can be confident they’ll deliver great sound year round. 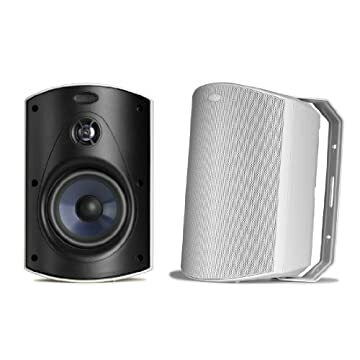 Polk Audio Atrium 6 WHITE Indoor & Outdoor Speakers NEW PAIR -- Free Shipping! 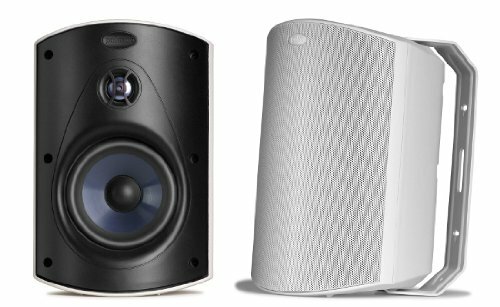 Buy New Direct From Polk Audio!! Last updated: April 20, 2019 at 11:45 EST. Pricing information is provided by the listed merchants. GoSale.com is not responsible for the accuracy of pricing information, product information or the images provided. Product prices and availability is subject to change. Any price and availability information displayed on amazon.com or other merchants at the time of purchase will apply to the purchase of the product. As always, be sure to visit the merchant's site to review and verify product information, price, and shipping costs. GoSale.com is not responsible for the content and opinions contained in customer submitted reviews.